Jace Lacob: I’m Jace Lacob, and you’re listening to a special bonus episode of MASTERPIECE Studio. Lord Melbourne — or Lord M, as he’s more affectionately called — is no longer Prime Minister of the United Kingdom. In fact, he’s not much of anything. Tucked away in Brockett Hall amongst his beloved orchids, Lord M has created a virtual Eden. Victoria: You have created your own Eden, Lord M.
Lord M: Yes, this is something of a refuge, ma’am. 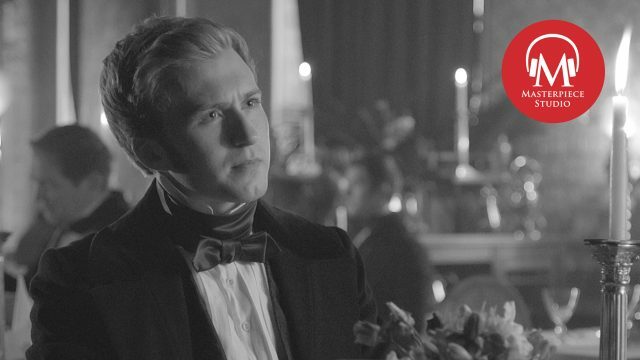 Jace: Lord M is a quiet, but nevertheless dashing guest at the Ball for the Relief of the Spitalfields Weavers. But, as his touch-and-go behavior reveals, Lord M is ill — and, according to his doctor, dying. Lord M: The cure sounds worse than the complaint! Doctor: I’m not talking about a cure, my Lord. With a case like this, the prognosis is uncertain. In some cases, there is a steady decline, while for others things progress more quickly. May I suggest, my lord, that you put your affairs in order? 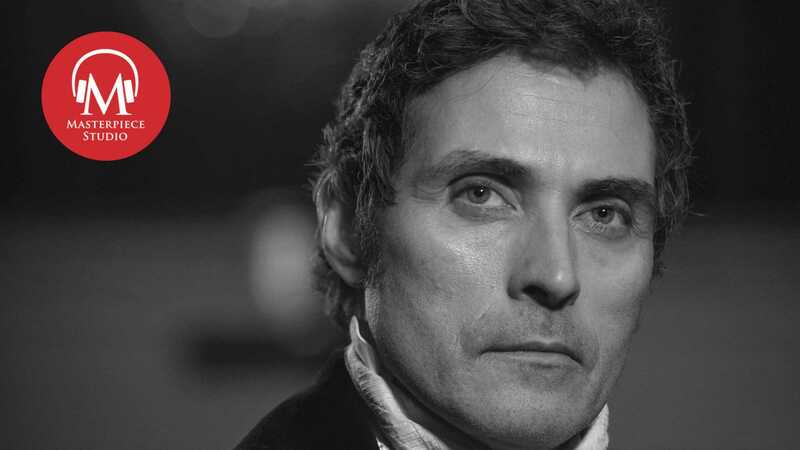 Jace: Rufus Sewell isn’t really sure how to handle his status as a VICTORIA fan-favorite. 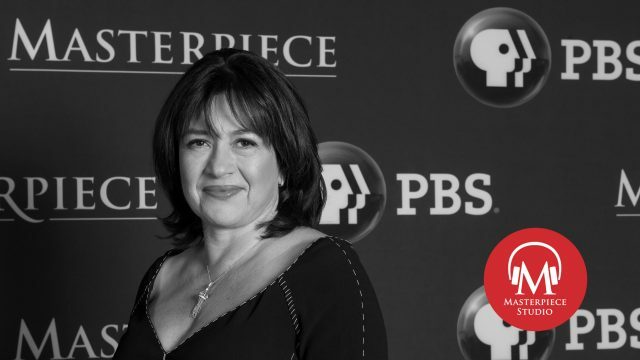 Still, following his likely departure from the series, Sewell retains a sharp sense of self amidst his position as an ahistorical idol. Rufus Sewell: He had riches. He’d grown up with kings and princes and intellects and artists there was nothing that really impressed him. He wasn’t particularly personally ambitious he just kind of fell into what he did. 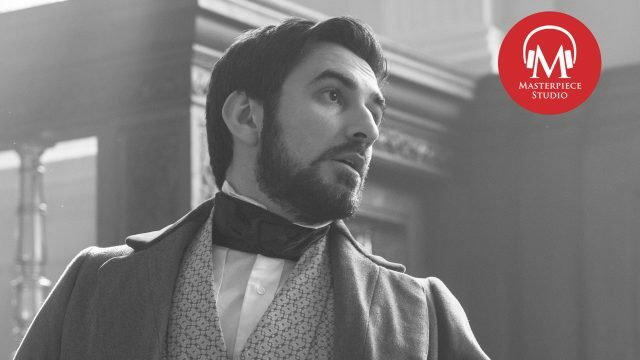 Jace: Sewell joined us to talk about Lord M, his reflections on two seasons of Victorian court intrigue, and what’s next for this busy actor. 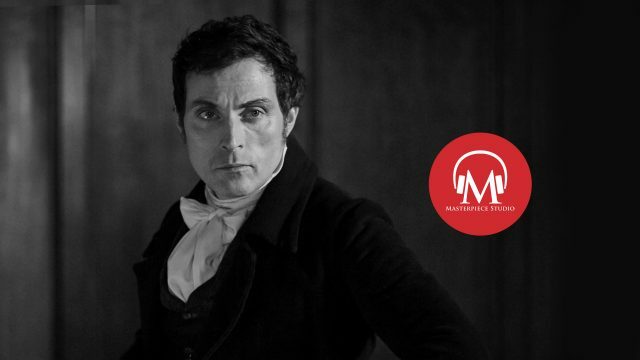 And we are joined again this week by Rufus Sewell. Welcome. Rufus: Thank you. Nice to be here. Jace: Now it seemed last season like Lord Melbourne had walked out of Victoria’s life when he was replaced as prime minister. What brought you back to Victoria? Rufus: Well, when it was first mooted I did have concerns. It was really nice to have originally only been booked for three episodes, and then to be kept on a little bit. Even then, in the first season, I was concerned that Melbourne wouldn’t be hanging around kind of uselessly in a way that wasn’t particularly dynamic or serving the story. But that worked out well. So when they suggested the idea of me coming back, I didn’t want to feel like I was hanging around or or that there was a dignity to it, like I wanted the changes in the relationship and his status to be reflected, and also to benefit from that because the lack of complication that was arrived at by Victoria being happily married and in love with Albert, I think in a way released them to be a little bit more pure in their relationship the kind of fatherly advice aspect to the pure friendship, uncomplicated by all of those kind of confused feelings. I wanted that to be addressed and not an attempt at some kind of dramatized triangular, you know, invented jealousy or stuff I didn’t want to be dragged into the tittle tattle. And I just knew after those assurances and I was very happy to come back as long as there was a kind of dignified way of getting out of it you know. Jace: So you didn’t want to be furniture at Buckingham Palace, basically. Rufus: No I don’t want to be hanging around like some kind of magic granny in a bath chair dispensing advice for young Christmas specials. You know. Jace: What do you think is behind the appeal of Lord M for viewers? Rufus: Well I just I I think it was the same appeal that struck me when I was when I read the script when I read the script and was initially suspicious, as I’ve said, that he was some kind of concoction — a kind of Frankenstein figure cobbled together from different romantic, you know, heroes and figures because he was so interesting and the relationship was so interesting. I was surprised it hadn’t been explored before so I was initially suspicious, and I asked Daisy if it was all true, and she said it was, and then I read up a lot about him and I kind of fell for him, because he was such a distinct and interesting and very, very likable and in many ways admirable character. And refreshingly honest, and just himself. 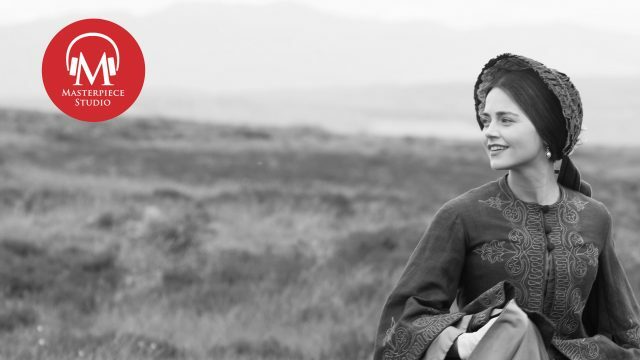 You know, the great thing that I think appealed to Victoria about him — and it was very important because he was really the first man that she’d ever been alone with, a nd the first person I think very importantly who didn’t want anything from her because he had position. He had riches. He’d grown up with kings and princes and intellects and artists there was nothing that really impressed him. He wasn’t particularly personally ambitious, he just kind of fell into what he did. He was very much his own man and in many ways as he got older, he got more you know odder and funnier and you know and in a way I was slightly disappointed we didn’t get to explore how he would fall asleep at the dinner table, and mutter to himself. Jace: You and Jenna Coleman have such natural chemistry together. What was it like returning to film these new scenes opposite Jenna? Rufus: It was lovely it was great fun and it was different in a way that it needed to be, you know, the first season and those first scenes had a particular character to them that was very much, you know, reflecting his position at that time in her youth and her position and it would be foolish to try to recreate those things. And not only that but you’d miss out on other opportunities to create something new. And it’s a changed relationship. You know the fact that I mean for me I relished the opportunity to be more openly supportive of Albert, because one of the things that that I found a little frustrating in the first season was I truly believed and knew for a fact actually that Melbourne rather liked Albert. And once he got over his initial concerns and I call them not much more than that — that Albert, who he hadn’t yet met might be someone who had no particular feeling for Victoria, who saw her as a cash cow, someone who might not appreciate her for who he felt she was — Once those worries were kind of allayed he he he and Albert got on very, very well and I didn’t get the opportunities to show that because we were set up in much the much the way that it was in real life that often you don’t get the opportunity to express you know because the dramatics of your situation have place you in a particular position. So I I missed the opportunity to have a scene with me and Albert where I can just kind of be really nice to him and we could just get on and I get that opportunity in season two, so it was very nice, unencumbered by all these complications, and you know, imagined rivalries that that kind of affect relationships. It was very nice to be able to be openly supportive to Victoria when she comes to me in need of advice and to be able to just give it to her in an uncomplicated way rather having to rather than having to kind of veil it because I think Melbourne’s attitude didn’t change that much. She was just able to express it more freely. I mean I think in his own way he was trying to make it easier for them to get together in season one it was just a little bit more complicated. This time, she’s able as a happily married woman to come to him and say um, Oh I’m having awful trouble with the husband. Can you give me any advice and can say, yes love, why don’t you try this, he’s not all that bad, you know, and. And it was pretty nice to be able to do that, you know. Victoria: The other evening when Albert was talking to Lady Lovelace about decimal places, he looked so happy. Lord M Oh come now, such suspicion is beneath you. And besides, if a man is intent on flirtation, in my experience, he does not tend to resort to mathematics. 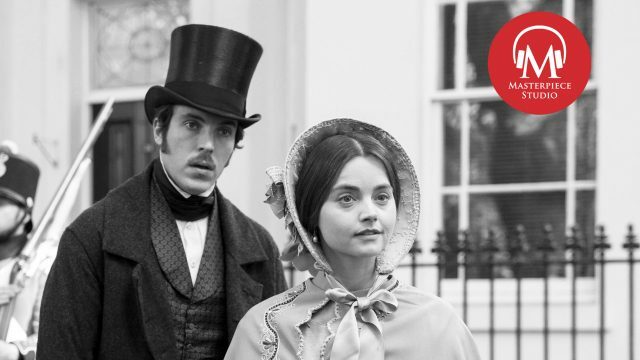 Victoria: I’ve missed you, Lord M. You always know how to make me feel better. Jace: Lord M is undergoing a treatment of regular bloodletting and a diet of beef tea and Brussels biscuits. So I have to ask where are those actual leeches used in that scene? Rufus: No they were bionic leeches. It was amazing actually, when I think a couple of them have been CGI. I think there was one particularly rambunctious one that it might have been a digital creation but there was what little things that there were that a man had this little metal metal pipe and it was hiding, him with crouching on the sorry to dash the illusion, crouching on the underside of my arm pumping these little kind of weird slug lengths that would inflate deflate and they moistem them, put little droplets on them, these little little critters. It was quite a fun day for them anyway. I didn’t enjoy it. Jace: Not so much for you. 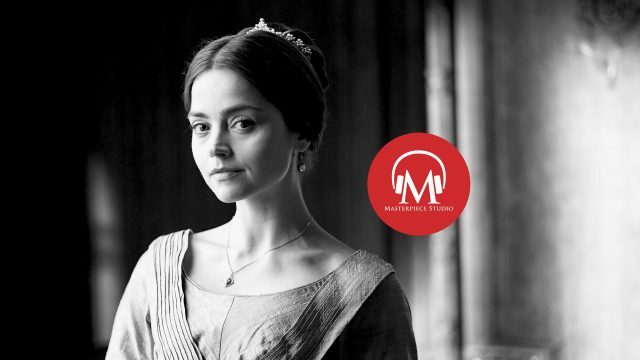 Why doesn’t Lord M want Victoria specifically to know about his condition? Rufus: I think he doesn’t want the fuss. I think that’s why, he cares for her, he doesn’t want to distract her and in the end he kind of also does want her to know, you know, these things are complicated, you do and you don’t. So I think when Albert ignores his entreaties he’s kind of slightly embarrassed and feels unmanned by coming and seeing him. But at the same time is delighted to see and very touched and very pleased you know because you can two conflicting feelings at the same time and I think you know his it was very secretly very pleased. Jace: Victoria says we cannot be is we were to which Lord M replies. No indeed. But they do end up waltzing together to seize the moment as it were and it’s here that Lord M seems to suffer a stroke before our eyes. What was it like filming this scene? Jace: Well it’s really difficult to pull off a waltz and a stroke at the same time, as you could guess but it was you know one of the concerns and one of the tricks of doing it for me was not to be too melodramatic I mean, you didn’t want something to be so big that it would cause an enormous commotion because also in terms of the scene, she’s apparently not supposed to notice. So you know, one had had to measure it out in such a way as to fit the scene. But I mean, and speaking technically there, but it was a very, very difficult to strike the right balance with that, because also just up until that moment, he’s really trying to say how he’s proud of the fact that she’s managed to make a success of her relationship and is very happy for he’s in the midst of that when whatever it is that happens happens, and that was the thing that I was concentrating more on, you know, and then he’s just kind of cut off. 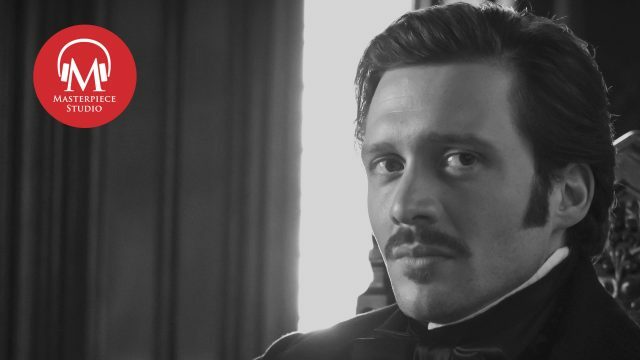 Jace: We get a taste in this episode of the close friendship between Lord M and Anna Wilson Jones’s Lady Emma Portman says, ‘I’ve spent my life watching you, William.’ What do you make of the report between these two? Rufus: Well I mean I certainly haven’t been playing it like I was aware that she had feelings for me. So that came as kind of as much of a surprise for me as it did for Lord M, I think, but it’s always I mean and Anna was so lovely to work with I’ve really enjoyed it. I mean I’ve relished scenes with someone who is a mate, you know someone who has it was a chance to just give a glimmer of the fact to something that the most interesting thing about Melbourne is that he just had great friendships with women. I mean all of the scandals and troubles in his life were to do with being really attracted not just sexually but personally attracted to incredibly bright independent vivacious intelligent charismatic women because of his mother. I think who had been this amazing. She was the center of this kind of artistic social. His father was a bit of a what they’d have called a booby at the time, and the center of the household was this brilliant outrageous mother who had took lovers and filled her house day it was kind of like a salon when all the great politicians and royals and artists and poets and debauchers of the day would circle and that’s what he grew up in, and was very much is not the way you think of the Victorian era at all This is the era that the Victorians reacted against. And he grew up with a great love of brilliant. And so it was nice to have to show I was only disappointed I didn’t get to have more of that to show his female friends which Lady Portman kind of represents that which is nice. The fact that he was he had as a confidante a woman and I think that was very telling and I always really loved my scenes with Anna. Jace: Now you touched on this earlier. I love the scene between Lord M and Albert at Westminster Hall. Lord M: I wish I’d built something now. Had some sort of impression on this country. Albert: You were the prime minister. Lord M: Oh any damn fool can be the prime minister. To live behind a thing of beauty. Something like this. Knowing that people will marvel over, centuries from now, that’s worth living for. Jace: It’s such a sad moment this great man wishing that he had somehow been greater. Jace: Is that ultimately the tragedy of Lord M? Rufus: No I don’t think so. I think that’s just him. I mean I don’t think he was a person as I’ve certainly wasn’t personally ambitious man as just a man at certain stage looking back over his life and I don’t think he saw himself in terms of being a great achiever. He’d have probably said I muddled through here and there. I mean he was a very successful prime minister in that he stayed in power for a very, very long time, but he didn’t have an aura of success about him because of the way he managed is they say this is the same thing they say with successful mediation. No one’s too happy. His own side felt he was giving away too much ground and to the opposite side felt that he wasn’t giving away enough. So everyone was really unhappy which meant he managed to strike this great balance. No one thought of him as a great prime minister because he didn’t seem to be particularly victorious or you know, but his example was one that if you look at it, you know, from a distance was enormously successful. He’s very, very good at what he did, He was just incredibly naturally gifted with intellect and and with his personality that he was able to appear to give ground to concede and not strike dogmatic positions in a way that made deals possible in a real way, and that I believe is why his biography by Lord David Cecil was Jack Kennedy’s favorite book, and he always carried it with him, which was fascinating to discover, because if you think of that way of dealing, it is very similar to what Kennedy did with the Cuban Missile Crisis when it became necessary to give an out to the Russians so that they could walk away with what looked like a success. But that was a very Melbournian way of dealing with a situation. mean it’s a wonderful book and it was the thing that really influenced me but it was very interesting Kennedy liked it so much. Jace: The Oxford Companion for British history described him as kind, honest and not self-seeking. Jace: Which perhaps has the highest acclaim you can give to a politician. Rufus: Yes, and you might say that that is why he would never have been described in his time as a gifted politician by other politicians, you know, because I think his own side would have been frustrated by those qualities, you know? Jace: Now my favorite scene on par with the rook scene in Season One is the final scene between Victorian Lord M where she gives him the mechanical songbird. Given that neither is able to express how they’re feeling within the rigidity of this moment, how difficult was this the scene to shoot. Rufus: Well I can answer that two ways in like any other of the scenes with Jenna, in one way, it was easy because I think firstly our response to the material was the same one. Basically if we meet and we read through the scene, we hit at the same point, and we don’t need a lot of discussion about it. It’s just naturally why it was so much fun working with Jenna and why often we just wanted to kind of film it as quickly as we could to kind of catch the truth of it. So the difficulty with the scene like that was how many times we had to do it because we had to see the film the same from one angle so many times, that by the time we came in to do the close ups, you know there’s this thing with the scene like that you want to keep it as delicate as possible, as natural, and you don’t want to be acting the moments. And one of the problems is when you do a scene for a very long time, you can do it very naturally and it can just happen and if you’re not careful or even if you are careful what can start to happen is you can start to impersonate the last good take you did rather than just inhabit it. And that’s something that you just learn not to panic about and just let it come back in its own time and luckily it did. But we did it so many times but every time it had something different and new and you know you don’t try to repeat you just try to kind of look at each other and mean it. But yeah it was a it was a nice day but the challenge was just keeping it simple. Jace: What do you think Lord M learned from Victoria herself? Rufus: Oh I don’t know. I mean it’s difficult to kind of put it in words like that. I think he got so much from Victoria, I think, you know, he was very jaded. I don’t mean jaded in a cynical way. If he had a cynicism it would be kind of a light hearted one that wasn’t he wasn’t jaded about humanity he was aware of humanity’s foibles but he kind of made him smile, especially his own. But I think he was just kind of over it by the time he met Victoria. He was on the way out. He was fed up with politics, he just wanted to go home and and tootle about, you know. His crowning achievement really was that relationship I think because he’d lost a child he’d been in and out of all these incredibly torrid relationships. And there’s something about the simplicity and the purity of her and the relationship that kind of encapsulated so many things that he needed well he might have realized that he needed, but you know the desire to be the kind of father a great female friend to be able to impart some kind of wisdom and give good advice and not so much of the nonsense advice that people were full of. It just gave him this tremendous purpose late in life that was just I think that became his crowning achievement really. And I think it was very, very sad for him when that ended but I don’t think he would. That doesn’t mean he would have wanted to extend it. I think that would have been even sadder for him. I mean, the same way I feel about the job, actually, I would not like to hang around too too long in this part because I like the part too much. Jace: And their relationship comes to an end not with a loving embrace but with a simple touch of the hand. Why was it important that their final encounter play out this way with the with that level of physical distance? Rufus: Well because I think a simple touch of their hand is no small thing. I mean, it’s not necessarily true that a hug has more warmth and feeling and contact than a touch of a hand you can you can have hugs that are entirely empty and devoid of feeling. It’s all about the context and I just think for them to have hugged would just actually create more discomfort and embarrassment. It would actually have taken them out of that moment. The simplicity of it was far more in keeping with it and far more I think very, very moving,I think. Jace: The final shot of the episode features Lord M staring at the Mozart whistling mechanical songbird as it stop singing. Jace: Which broke my heart. The script is very sparse and detail for that moment it just says the bird stops that song and we see Melbourne’s face. Jace: What did you want to convey in that moment with that expression? Rufus: That I’d died. As far as I’m concerned I went back to die if they’re not telling people about me then that’s fine but you know what did I want to convey? I wanted to convey that I was dying but it doesn’t seem very clear. I was very surprised that people didn’t realize that I was dead. Jace: I mean even Daisy in interviews she she wrote something recently she says every time I imagine writing more Victoria I can feel him as in Lord M creeping into the edge of my consciousness. He is the old flame that you never quite get over, the one that got away. Rufus: I mean, Yes she said that since but which is which is very nice but at the time I was under the impression that I was sitting there having a final stroke rather than just staring at a bird. But you know. Jace: To each his own. Rufus: Well not really. Death isn’t quite like that. It seems to be pretty final. But but yes that’s as far as I’m concerned if you ask me what I’m thinking. I wasn’t thinking anything by the end of the scene. 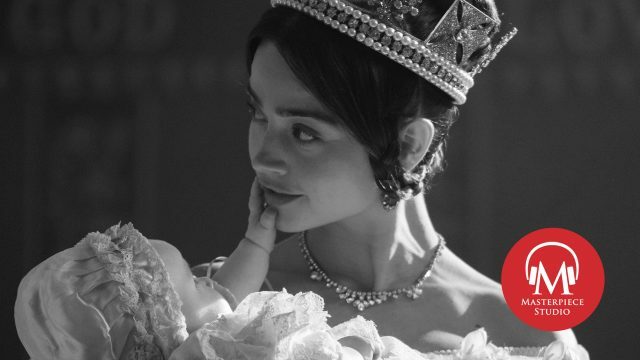 Jace: The episode constructs a parallel between the death of Lord M and that of Victoria’s dog Dash even if the affection the Queen felt was perhaps equal. How do you feel about your character being compared to a spaniel? Rufus: It’s just not the kind of dog that I’d expect to be compared to I would think something slightly more bigger and googly eyed but you know your pick of dogs. Rufus: Well possibly. I don’t think we can pick the dogs that we are maybe maybe the spaniel is the right dog for me, who knows? Rufus: Is it true that your final performance as Lord M reduced Daisy Goodwin to tears on this set? Rufus: And then my final no my first one is the first rehearsal. Jace: Oh what was that. Rufus: Well that was it the first rehearsal of that scene and as I said it was a really really long day. I mean we read through it the first time, just you know it’s like okay let’s just read through the scene and decide what we’re gonna do. Halfway through that I was aware of sobbing in the corner. Which is nice, it was a tad distracting but there was no encouragement I suppose you could call it kind of sobbing cheerleader in the corner. Jace: Sobbing cheerleader I think is what we all need if we’re preparing for a death scene. Now some fans of the show were quite upset that Lord M would return just to die with one viewer writing on Twitter, in all caps, mind you: I can’t believe they brought back Lord Melbourne just to kill him off what the actual expletive. Jace: What do you make of that reaction? Rufus: Well it’s the opposite of mine. I mean my this is the reason I answer kind of vehemently because no one else sees you doing it so I’ll do it. I wouldn’t have come back if I hadn’t been dying. For me because I don’t like it feels a little undignified to be just hanging around on the off chance of being brought back to dispense advice. I’d rather snuff it. You know, there’s more of a dignity and just kind of right now on with the story you know, because I think there’s a there’s a limit to the shelf life of that character as there was in real life. And once his actual purpose and the natural dynamic of that relationship is over, I’d rather just leave it at what was its best rather than just kind of bringing it back in some kind of ever diminishing version you know. So for me I read the fact that as far as I was concerned he comes back he’s ill and then he dies and then she moves on was very important to kind of close that door. So I’m very flattered that people don’t like that. But but my perspective was slightly different even though I was really I mean as I keep on telling Daisy, I’ll do a prequel because I am still younger than Melbourne was luckily, but you know I wouldn’t really. It was quite an important important part of it was to kind of close the door even though it’s a very sad thing to do. Jace: You know what I would love for you to starring in a show called M.
Jace: All about Lord Melbourne before this. Looking back at your time as Lord M over these past seasons of Victoria. Is there a scene that sticks out at you? A personal favorite? Rufus: Not really. I mean there’s the scenes there’s the big scenes you know. But really I just I had a good time just doing the little silly scene some of which got cut. Then we had kind of loads of early little scenes with me tutoring a young errant cheeky Victoria and trying to you know school her on the ways of the court etc etc and being just kind of naughty young thing trying to distract me you know I mean it was the wonderful truth about the two of them as there were kind of incorrigible together they used to get drunk. I mean. We never had one of those scenes, to my great disappointment. But yes actually it’s just the scenes of us just hanging about. I mean obviously I’m very proud of and love the dramatic scenes but the ones that I look back on fondly are the ones that where we were just kind of larking around together. Jace: And what’s next for you now? Rufus: Well at the moment I say with great pleasure nothing. And I’m sure that pleasure will curdle. Well you know by that time and back home and finished doing the third season of Man in the High Castle and a night shoot this Saturday. So I’ve been pretty busy with that season three’s, you know, quite intense and bigger still than the last one and quite exciting, and nothing has really come my way that seemed more appealing than not doing anything for a little while. But you know, as my old agent Julian Belford used to say my greatest asset is my availability. Jace: Well enjoy some much deserved rest. Jace: In the meantime, Rufus Sewell thank you so much for joining us again. Rufus: Alright thanks a lot. 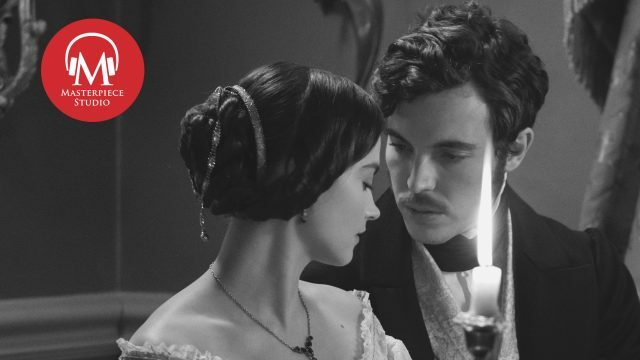 Jace: Prince Albert takes control in this second season of VICTORIA. His wife has noticed — and she’s not exactly pleased. 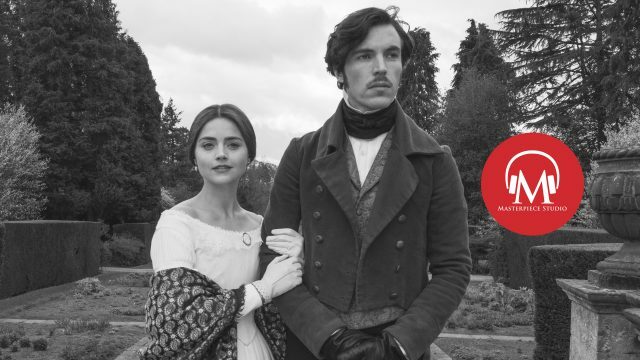 Actor Tom Hughes discusses how Albert and Victoria’s relationship deepens and fractures this season. 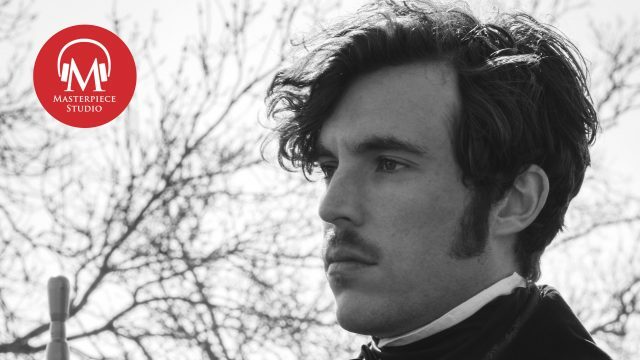 Tom Hughes: He’s recognized that the world is changing, and in a way that it’s irrevocable, it will never be the same, and perhaps…this is the avenue he can travel down, where he can have the greatest of impact, if you like and also can can get that expression that he so dearly craves. 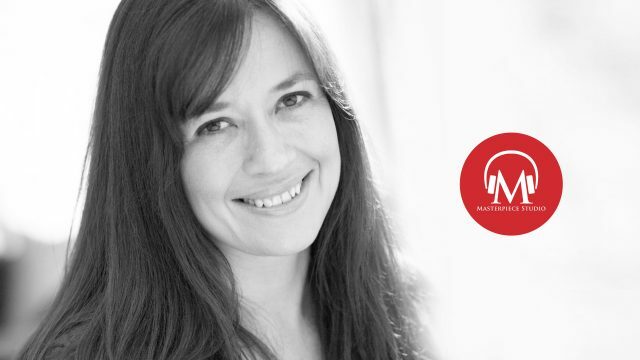 Jace: Watch for our interview with Hughes, appearing next week in your podcast feeds.